A classic button down chambray shirt is a great wardrobe staple because it can be worn in so many different ways. Buttoned up and half-tucked for an easygoing look, open over a tank for a layered effect, or tied at the waist for a flirty feel. 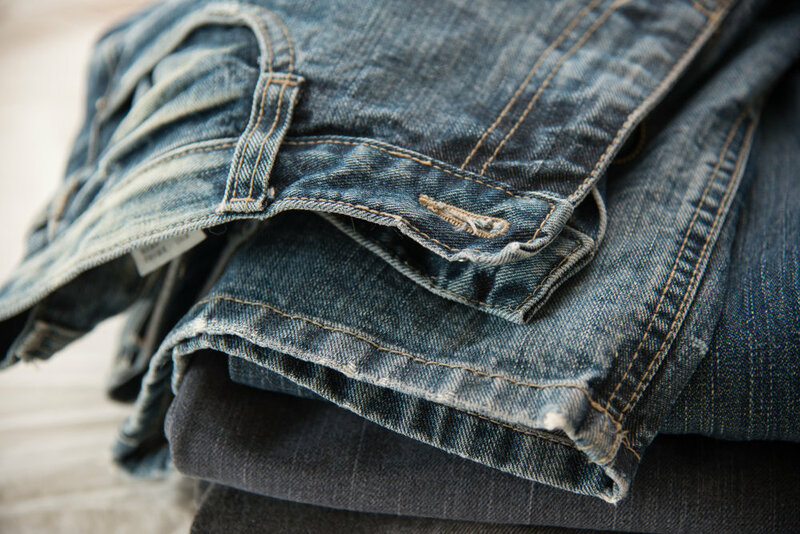 Chambray saves the day when you just can’t figure out what to wear. It’s a safe go-to that will always have you looking effortlessly fresh. While the cropped skinny leg jean is a modern mainstay, the gaucho jean is coming to the forefront of fashion. It’s a cute and relaxed look that is a great alternative to a skirt, but must be worn with caution. This loose bottom look can easily get away from you. For a more polished pairing, opt for a classic structured top. A tailored white collared shirt paired with a bib necklace, sharp heels, set with a red lip will give this fashion statement a more refined feel. White denim is simply refreshing! Whether it’s a high-waisted flare pant leg, an A-line skirt, or a frayed pair of shorts, you can’t go wrong with any color combinations here. This is a great space to showcase your brightest tops that really pop! Conversely, pastel pairings create a very soft look with a great white jean. Throw out the rulebook. Live dangerously and wear them past Labor Day! The classic mini might be off the market, but the high-hemmed A-line is simply divine! A short denim skirt worn with a graphic tee and sneakers is a fun sporty look while an off-the-shoulder top paired with wedges creates a casually elegant ensemble. A colorful cross-body bag is the perfect punctuation for either outfit. A bold denim statement is a patchy pieced together look; like taking three pairs of jeans and incorporating different elements from each pant to create a new pair. It’s trendy and light-hearted, and it’s all about the whimsy. This throwback trend has been modernized with some deliberate details to keep it from feeling to hippy-ish. Keep the rest of the look clean and simple, and allow the denim be the star of the show. You Can Accomplish BIG Goals, Even in Summer!